NEW YORK -- Police said charges have been filed against New York Jets player Darrelle Revis following an altercation in Pittsburgh last weekend. Revis faces charges of robbery, terroristic threats, conspiracy, and aggravated assault. According to Pittsburgh police, the incident happened at about 2:43 a.m. Sunday in the Southside part of the city. Officers responded to a call of two men who were knocked unconscious. Police said their investigation found that a 22-year-old man was walking along the street when he saw someone who resembled Revis. He asked the man if he was Darrell Revis and Revis confirmed that he was. The man then started recording video of Revis with his cellphone and continued to follow the Jets cornerback, police said. "At some point, Revis snatched the cellphone away and attempted to delete the video," Pittsburgh police said in a news release. Police said a 21-year-old man tried to help the man get his cellphone back -- but Revis tossed the phone into the road, and an argument ensued. Another man showed up to help Revis. Police said the 21- and 22-year-old men said that were punched and knocked out. Witnesses said they were unconscious for about 10 minutes. "The officers viewed the cellphone video and confirmed that the person was Revis," police said. But Revis' attorney, Blaine Jones, disputes what police said happened that night. He said Revis was approached by five or six men, and one of those men was highly intoxicated and acting a bit erratically. Jones said the intoxicated man bumped into Revis, and Revis responded with "Hey, I don't want any problem, calm down." But the guy got in Revis' face. "Mr. Revis said 'listen, my name is Darrelle Revis, I'm a football player, I don't want any problems,' Jones said. "So the other guy somewhat accepted that but the intoxicated gentleman didn't want to accept that and kept going." Revis then tried to get out of there, his attorney said, but the intoxicated man followed him and shouted his name. Revis saw something in the man's hand, but didn't know what it was. "Revis looks back and wasn't sure if the guy had a weapon or what," Jones said. "So eventually, the guy gets closer and Mr. Revis either swipes the item or grabs it from his hand. At that point Revis realized it was a phone and a fight ensued." Jones added, "Mr. Revis was never the aggressor in any of this." Police said the pending charges include robbery, terroristic threats, conspiracy and aggravated assault. Revis, 31, grew up in western Pennsylvania, and had returned home for the weekend to visit family and friends. 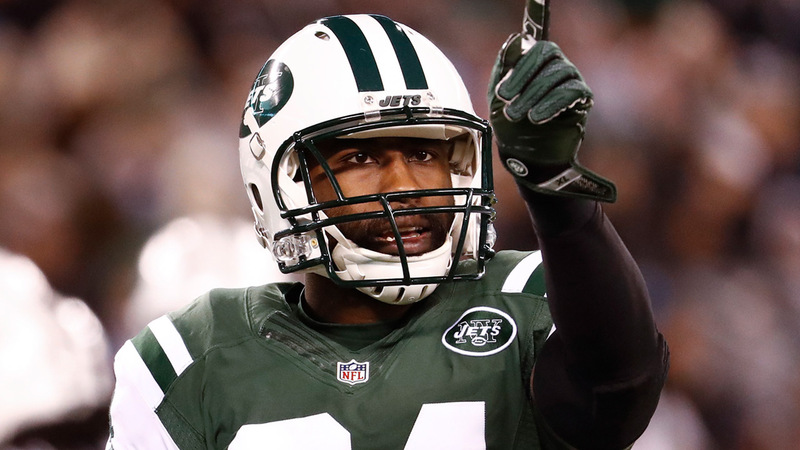 The Jets confirmed they are aware of the situation and have spoken to Revis.